Adding our Rear Guard Insert to your child’s backpack adds less weight than a text book but it can take a ton of weight off your shoulders when you know they are safe at school. 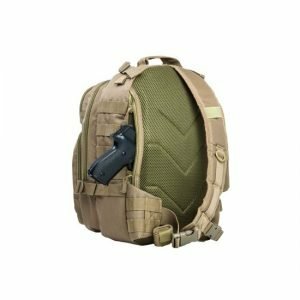 Why not just buy a bullet proof backpack? Bullet proof backpacks have been on the market for several years. Although they are expensive, they do offer good protection. The problem is that not everybody likes to carry a plain black backpack. Although I am the president of Streetwise Security Products my most important job is being the father to 5 children ranging from age 6 to 19. I can attest to the fact that each child has a unique style and taste, and (just like their music) they are not crazy about the “one size fits all” approach to their backpacks. So now rather than throwing away perfectly good backpacks which our kids love and buying them an expensive, generic looking “bullet proof backpack” that they won’t want to carry, our Rear-Guard insert can convert their current backpack into a ballistic shield for about half the cost! It can be used for up to seven years so when their backpacks wear out or their style changes our insert can be easily removed and transferred to their new one. Unlike the heavy, rigid chunks of metal used in the past, our Rear-Guard insert is so flexible and lightweight they will not even know they are carrying it. Made of a high-tech material know as Ultra-High Molecular Weight Polyethylene (UHMWPE), it measures 10″ by 13″ and weighs only 1 lb., 2.9 oz. and is flexible enough to conform to whatever it is placed in. Because our insert contains no metal it is airport and TSA friendly to ensure that you and your loved ones will be protected even when traveling.